GDPR is here. What's next for marketers? The EU General Data Protection Regulation (GDPR) is now in effect, and our client feedback indicates many companies doing business globally are defaulting their policies to be compliant, whether or not their clients are in the EU. Marketers should now shift their GDPR journey from preparation to execution. They should rethink how to capture and manage personal data across all channels and touchpoints, how they generate insights from that data, and how to build compelling yet compliant strategies that will drive create customer experiences. 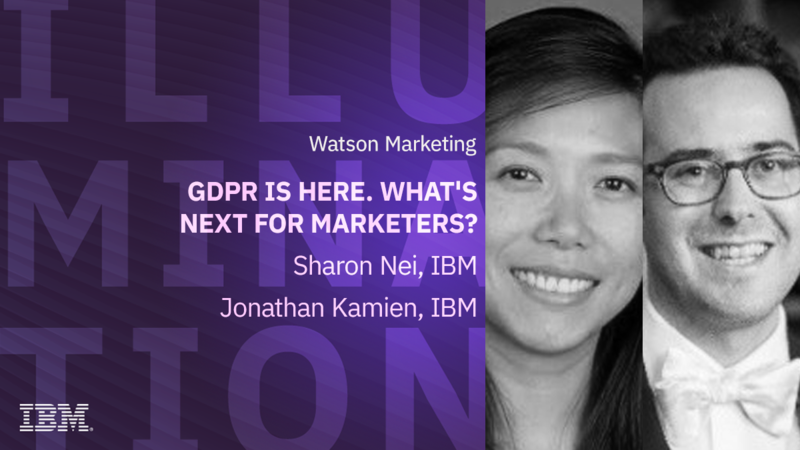 Please join Sharon Nei and Jonathan Kamien, Offering Management, IBM Watson Marketing, as they share with marketers their latest insights on GDPR, and how you can drive competitive advantage in this new environment.